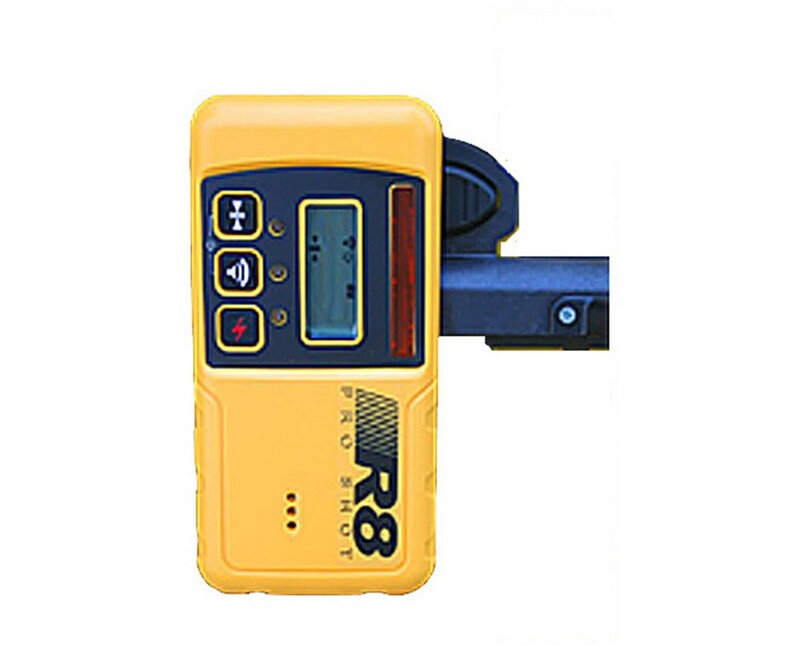 On-Grade accuracy: ±1/32", ±1/16", ±1/8"
The Pro Shot R8 Laser Receiver is designed to provide accurate height and grade information through its five-channel front and rear LCD displays. It also features an adjustable audio tone indicator that announces the laser’s grading status (high, low, or on-grade). It has reception height of two inches (50 millimeters) and reception angle of 90 degrees. Equipped with three control switches, this Pro Shot laser receiver allows accuracy setting, volume adjustment, and one-touch power on and off. It offers three selectable on-grade accuracies including ultra-fine (±1/32 inch or ±1 millimeter), standard (±1/16 inch or ±1.6 millimeters), and coarse (±1/8 inch or ±3.2 millimeters). 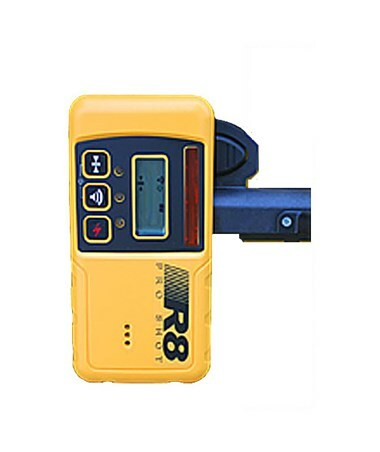 The Pro Shot R8 Laser Receiver enables automatic shut-off after 30 minutes of not receiving laser beam strike. It is powered by two AA alkaline batteries that can operate for up to 70-hour runtime. It is compatible with Pro Shot Alpha XD, AS2 Magnum, and L4.7 Magnum lasers. Supplied with a universal rod clamp, it is easily mountable.